To keep cycling through the winter takes an extra grit and determination. To not succumb to riding exclusively indoors where it’s warm and dry, but enjoy the beauty of the cold, fresh air. The reason why you ride in the first place is always there; year round. Full time. The open road, the thrill of movement and getting somewhere — whether the cake stop or the summit. Seeing your breath in the air as moisture collects as ice on your eyebrows, your nose dripping and somehow not forming stalactites. Eyes watering and lips chapped, fingers so bruised from the cold you’re certain they were crushed by a tractor. Is this winter riding? Is it the bracing wind that seems to cut right through you like a steely blade, is it the invisible tether that binds you to the warmth of your bed? No, it’s the low sun’s talent for creating the most incredible sunrise, the glisten of the frost on bare trees and the empty roads. It’s the camaraderie of seeing another crazy cyclist who waves stiffly to you as you pass. Blue skies and long views, the sound of your pedal strokes that rattles eerily along country lanes. It’s the greater feeling of satisfaction, the achievement of simply being out there earning an extra coffee and an extra slice of cake. The heart rate takes over, your body warms up, the pain starts to subside, one more mile, then another. That’s the winter. But getting out of bed is tough. At that moment when the alarm sounds all is dark, the only light comes from your phone checked half in the hope your ride partners have bailed first. It’s a while before you’ll see the weak sunshine in a pale blue sky, maybe you won’t see colour at all today. The promise of porridge and cold toes on unwelcoming kitchen floors hardly inspires you to resign from the duvet. This is why you need your ‘get out of bed kit’. We want to make it easier for you to peel yourself out of bed and reach into the cupboard for your cycling gear. It’s a time when the optional becomes essential; base layer, thermal jersey, thermal bib tights, cap, long socks, gloves. The full squad will be employed. 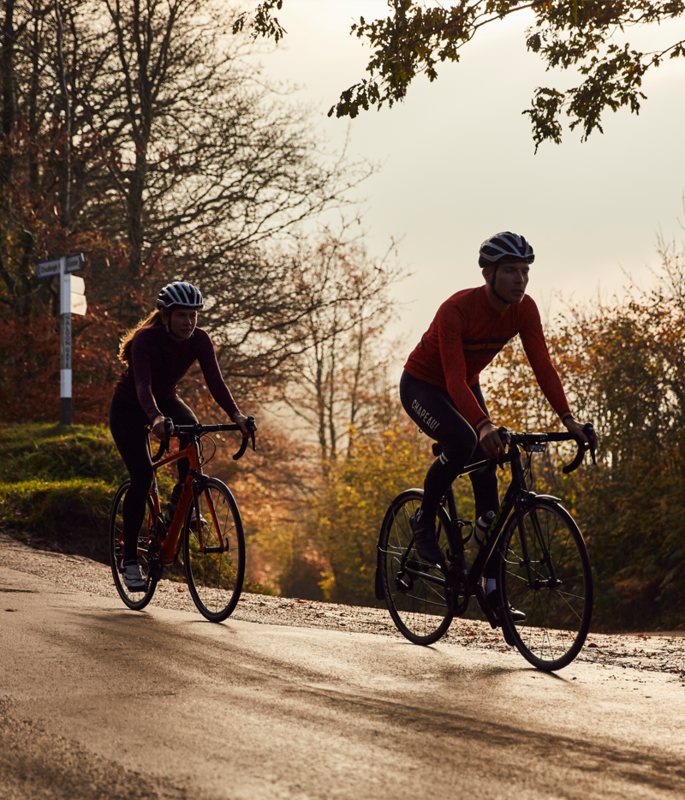 New kit day is always an incentive and in winter doubly so, that’s why we’ve decided to help you out onto the glorious frosty lanes with our bundle deals. Our thermal kits are designed to keep you riding all year. 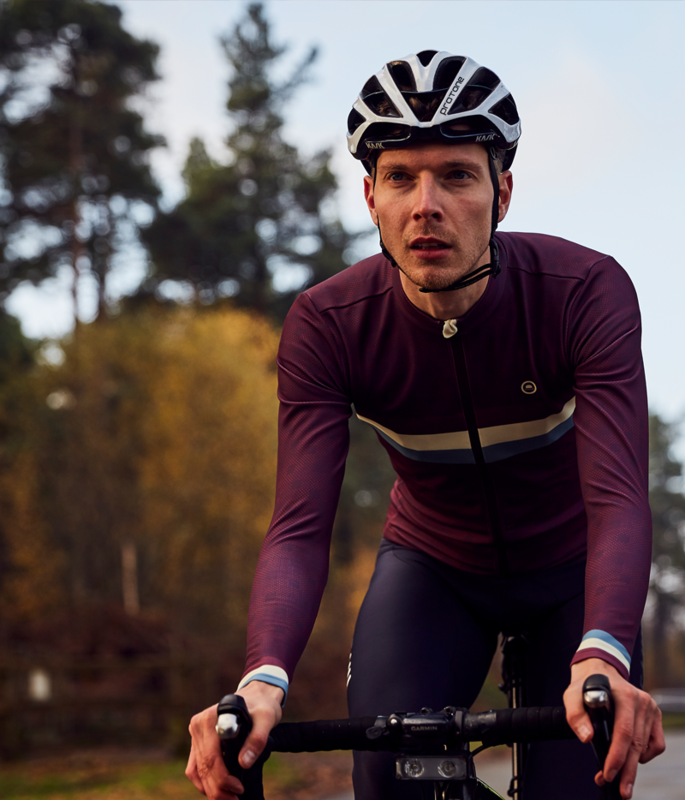 Whether you’re taking the edge off a chilling ride or layering up in deep winter, our winter range offers the ideal, eye catching companion come rain or shine. 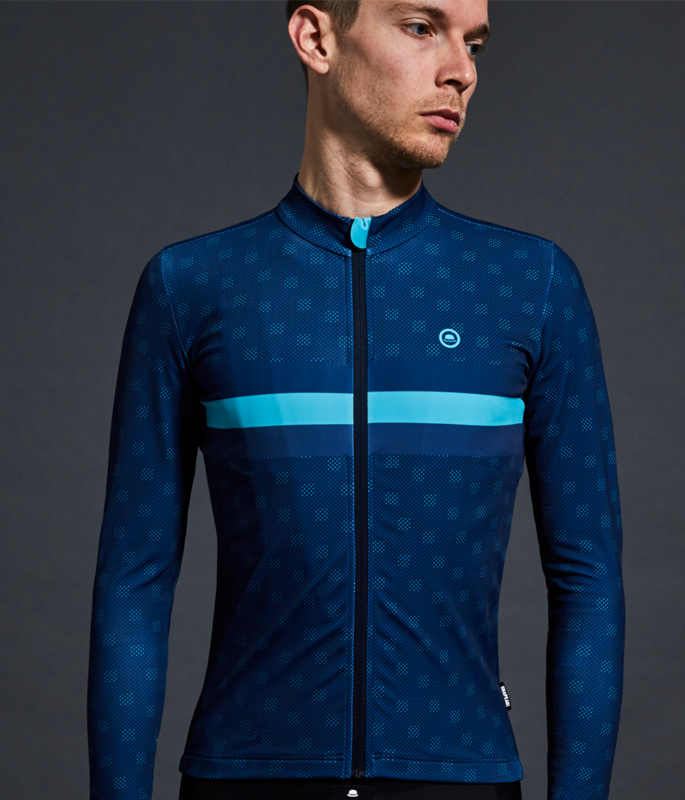 Whether it is the exact millimetre dimensions of this year’s new check pattern to the shade of colour in the stripe or the length of drop on the rear to keep your backside that bit drier on damp roads; we've obsessed over a lot of details here. Hopefully you will agree it shows. 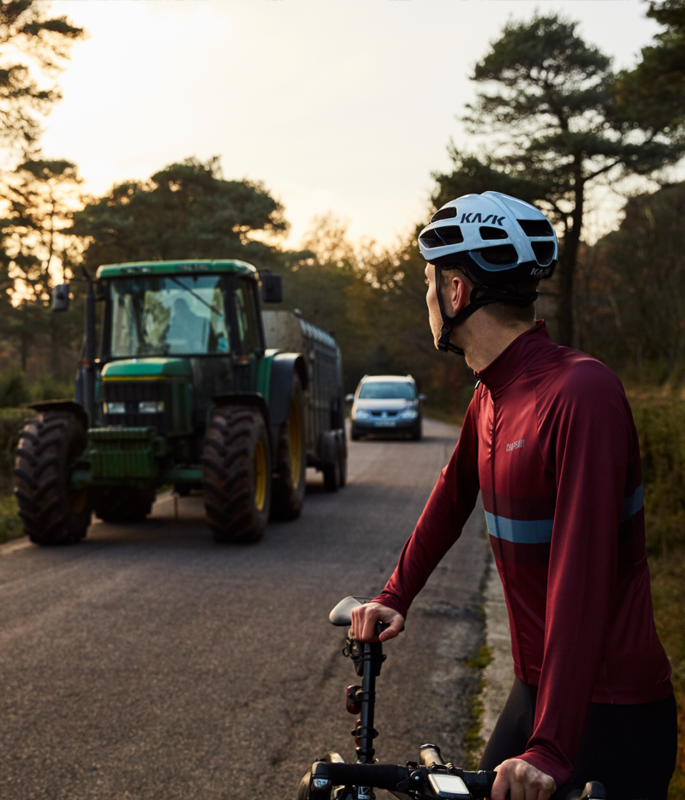 The men’s thermal jerseys feature three rear pockets plus a phone sized, water-resistant lined and zipped security pocket take care of carrying duties. The luxurious Italian made fabric with DWR coating takes care of moisture and temperature control. Available in both our Club and Tempo range with new colours for 2019. 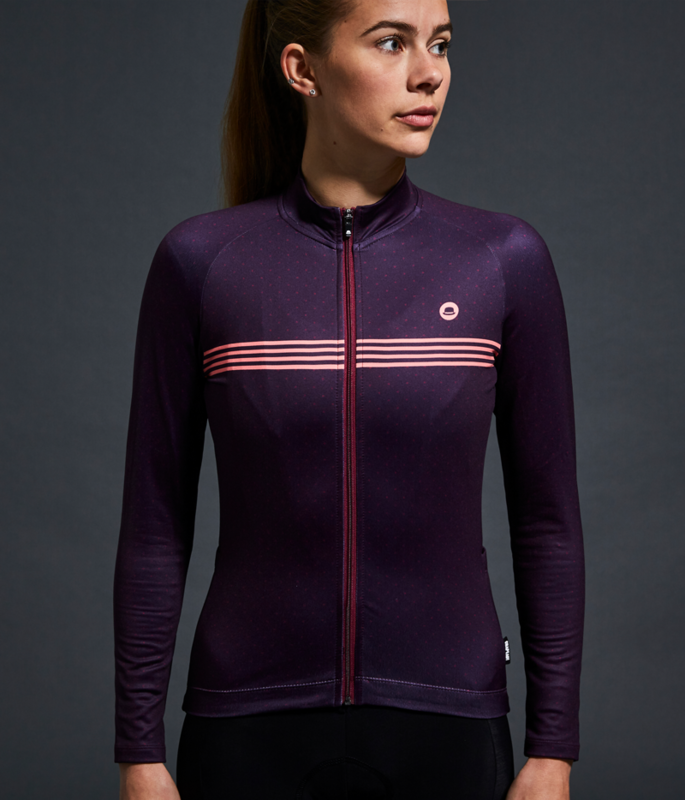 Our women’s thermal jerseys come in a broad range of colours and patterns, to brighten up any dull winters day. Featuring two full-sized pockets, ideal for essential tools and food with enough room to store neck warmers and extra layers if your winter riding hots up. An extra zip pocket is the perfect place to keep valuables safe. With essential fleece brace fabric you’ll keep super warm whilst looking great this winter. We offer thermals in both shorts and full bib tights. 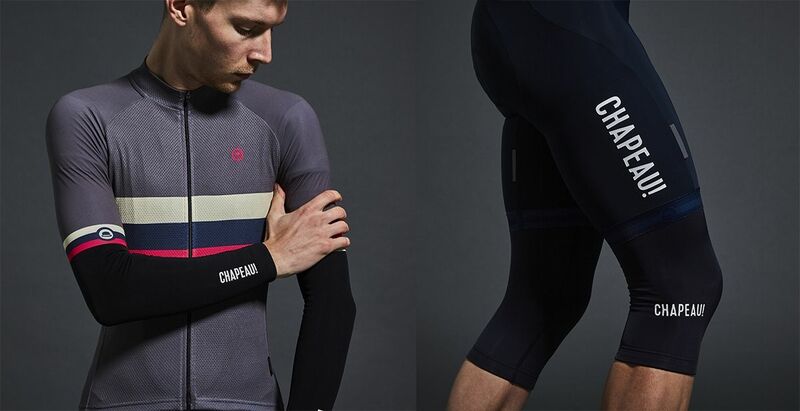 Pair the former with our knee or leg warmers for the ideal winter kit of parts. Featuring soft touch moisture wicking fabric to keep you dry and UV protection to keep you from unlikely sun damage we’ve taken care of every detail this winter. With reflective stripes behind the knee and reflective logo detail you can be sure to be seen whilst looking your best. Our tights have foot stirrups which are welded flat so you can wave goodbye to fiddling with unreliable zips through heavy gloves. Essential for layering, our range of accessories include arm, leg and knee and neck warmers and of course winter gloves. Our Winter Gloves are the ultimate glove for year round cycling, from chilly to deep winter the water and wind resistant outer fabric coupled with the warming inner liner ensures that your hands are kept warm and dry. We’ve even created a handy sizing guide to make sure you get the right size. Peak up, peak down, facing forwards or worn backwards to protect your neck, the cycling cap is the Swiss Army knife of cycling accessories. Wear it under your helmet or extra warmth or pull it out of your jersey pocket at the café stop to disguise your helmet hair, but always have it with you. With plain patterned, muted and colourful we’ve got the cap for you, whatever your taste and complexion. The poor feet take so much of the battering in winter, stuck down there on the pedals in the wind. Our Winter sock has a taller ankle style and a padded sole giving a good balance between performance and comfort and of course it looks amazing! Being 65% wool these socks are perfect for winter and offer excellent temperature control, even when wet! Coffee isn’t strictly an accessory, but so important is it to the cyclist especially in winter we decided to include in our bundle deals. Our WATTS blend is also not for the faint hearted. This coffee has been developed with only one thing in mind – providing you with a roundhouse caffeine kick to the face! Choose from whole bean or ground – the perfect kick start to a ride or reward for getting out. It’s never easy justifying big investments after Christmas, but in the coldest of weather a decent winter kit is essential, not optional. That’s why we decided to make things easy on you with our special winter bundle deals. 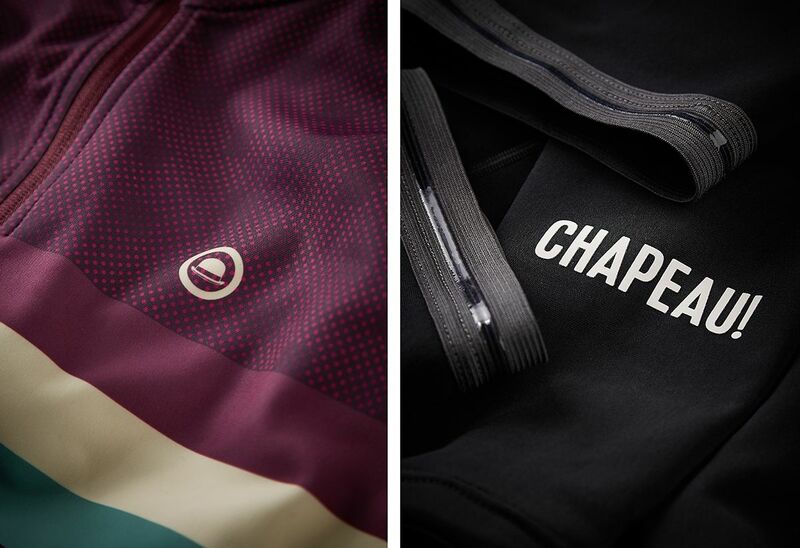 Choose any jersey or bibs in our bundle deal and get up to £40 off accessories. Firstly, head to our Bundle page and choose any main item of thermals then add complementary accessory from warmers, gloves, and socks to chamois cream and even coffee to qualify for a hefty winter discount.